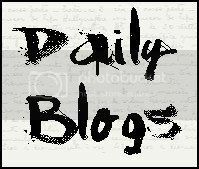 We’re half way through the second month of the year and I really think that Anna, Luc and Amanda have done a good job of being active and bringing out new and interesting blogs every week. I just wanted to quickly see how our new blogs are going down on here. We have the new Weekly Question blog, 5 Things… as well as Anna’s Playlist each and every week. We’d like to know if people are enjoying them, if there were ways you think we could improve them and of course if there is any other suggestions for blogs you’d like to see. We do hope that as the year goes on blogs like Anna’s Diary, catch up on Anime’s we’ve half completed and more TV and wrestling reviews will be added. We hope very soon to have sorted something out make it easier looking through what we’ve reviewed so far. Of course we would like to focus on quality and what people want to see from us. So if there are any problems, suggestion or ideas just leave them in the comments for us. We’d love to hear from you. So we’ve been pretty lack this year with our anime coverage which is usually the best kept coverage on here even if its a bit tardy at times. We usually review at least a good couple series all year round including catch up series and other things and whilst in the build up to Attack on Titan 2 we did a good job we’ve kind of died out the second part of the year. With the non-anime reviews busier then ever and even us two busier then usual its hard to maintain much at the moment but the anime stuff is going to be sorted out as soon as possible. As well as Ousama Game we plan on catching up with one or two other series from this season and hopefully after catching up, so lots of reviews this week, we hope to keep up with them as best we can. You’ve all seen the sad posts about Photobucket making us pay to host images and none of us having the kind of money lying around they were asking for so we had to take down our anime hub which I believe Anna was very proud of so a less exciting looking page or something will be coming out at some point but until then we are finishing a bunch of final thought posts that never were done, including one for One Punch Man which was the oldest one we went back and found we hadn’t done, so that we can at least have a page linked to our final thoughts and whether or not we recommend series as we sort out what we’re doing.. It does mean a lot of anime content which we’ll try and water out with other bits and pieces but at the moment its the one consistent thing we can promise. Not only that but we’ll try and ramp up flashback series with me covering shows like Sword Art Online and Elfen Lied whilst Anna reviews such classics as Space Dandy. One of our most viewed reviews is the ONE episode of Barakamon that Anna reviewed when first coming to this blog from her own personal one that and the second season Handa-kun will also be included in our flashback series and other recent anime’s we’ve missed finishing such as Flying Witch and Divine Gate will be finished. Of course we’d love to hear what else you’d like to hear from us, we do have a few random bits and pieces to come up but this is the major content that will be up in the next few weeks. So people might not have noticed that a lot of the photos we use on the blogs, especially the wrestling ones, have disappeared. This is due to Photobucket now charging if you want to host your photos on a 3rd party website. 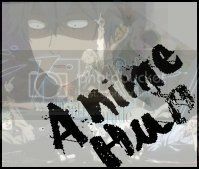 To keep costs down we always used Photobucket to keep our storage low on WordPress, there are things like the headers to blogs that have to be stored so especially after we started with the anime reviews we decided to use Photobucket for about everything else. We aren’t going to pay, or I personally am not going to pay, just to have the photos available to host on 3rd party sites. SO at some point when I have time I will be deleting all the Photobucket pictures so that our site doesn’t look like such a mess. 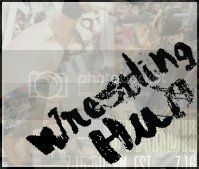 I will however be uploading all the wrestling photos onto our Facebook page, and will continue to load them on there, and link to the page in all the blogs. This includes past events too. Anyone who follows me on Twitter knows I’ve always been fed up of Photobucket either just never working, being difficult in general and unreliable so it shouldn’t surprise anyone I’d rather take the much easier yet less fun option of just uploading to Facebook and linking to it then having to deal with the stress AND PAY FOR IT. We are sorry that there are now pages of random messages telling you that photos are unavailable and so on. I have very limited time at the moment and when I am at home I tend to have little energy to face having to destroy all the work we’ve done in the last two years. I will find a better way to do everything and make it all pretty again down the line but at the moment I’m focusing on my real life job and just trying to get the content out rather then worry about the little tricky things that make the place look and feel nicer but in the end don’t really add a whole lot more.